“to develop growth opportunities for the company’s innovative spacecraft systems and expand the company’s focus on small satellites and Earth observation,” according to a company press release. Adam Marks will be the Chief Strategy Officer and Mark Sarojak will serve as Vice President of Commercial Earth Observation. Marks will develop new markets and partnerships to optimize business opportunities for next-generation communications and space systems for commercial and government customers. Most recently Vice President of Strategy & Corporate Development at Thales Group, Marks has 20 years of experience in high-tech businesses where he focused on key digital technologies such as cybersecurity, mobile broadband connectivity solutions and big data analytics. Thales built the 80 satellite Iridium NEXT constellation as well as satellites for the O3b constellation. Sarojak will lead SSL’s remote sensing business and drives strategies for the wider adoption of satellite-enabled technologies and the growing smallsat applications market. Joining SSL from GeoNeo Inc., Sarpkal served as CEO and provided strategic leadership for the company’s work in geospatial technologies. Both hires are significant, given the boom in small satellite constellations and imaging around the globe. Numerous companies have announced plans to build tens to hundreds of satellites for near real-time Earth observation and hundreds to thousands of satellites are required for low Earth orbit (LEO) broadband constellations. 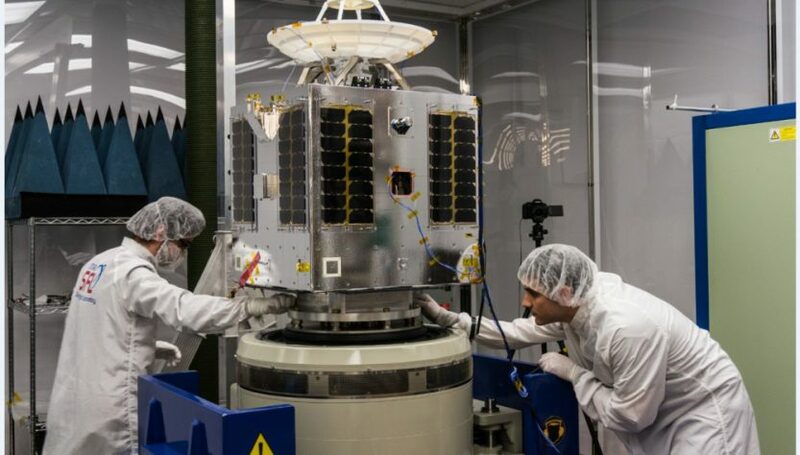 SSL built one of two pathfinder satellites for Telesat, which plans a LEO broadband constellation of 120 satellites to start providing service by 2021. The pathfinder was lost in a Soyuz launch failure in November 2017, but SSL could still end up building a portion of the constellation to provide hardware diversity and a hedge against Telesat being locked into a single vendor. In the Earth observation sector, Palo Alto-based SSL built the SkySat series of Earth observation satellites for Skybox Imaging, which is now owned by Planet Labs. To date, 13 SkySats have been built by Loral and put into orbit, with another batch of 6 ordered in January 2016. It is also building six satellites for DigitalGlobe’s WorldView Legion. To be launched in 2021, the WorldView Legion satellites will provide revisits to some locations on Earth up to 40 times a day, as well as replace a couple of DigitalGlobe’s older WorldView family satellites. The challenge for SSL will be to win a production contract for a larger constellation, with Telesat a potential customer. SpaceX plans to build its 4,000 plus StarLink communications satellites in-house while OneWeb‘s 900ish first generation satellites will be built by Airbus in a purpose-built factory designed to crank out up to three satellites per day.